How many of you have wood paneling somewhere in your house? The basement of our home has wall to wall wood paneling, and when you combine the wood paneling with dark brown carpet and fluorescent lighting, it wasn’t the most inviting place to spend time. 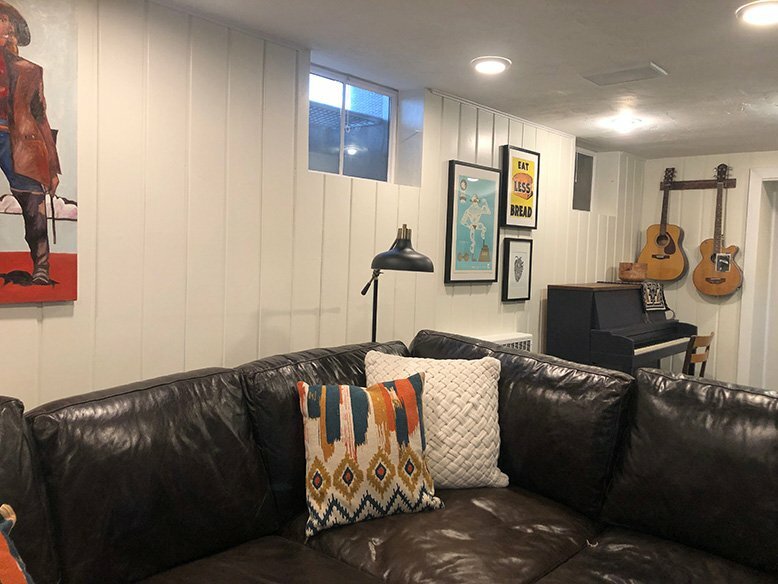 We recently finished painting the wood paneling white and it is amazing what a difference it has made in our home. If you have wood paneling in your home that you don’t love, think about painting it! 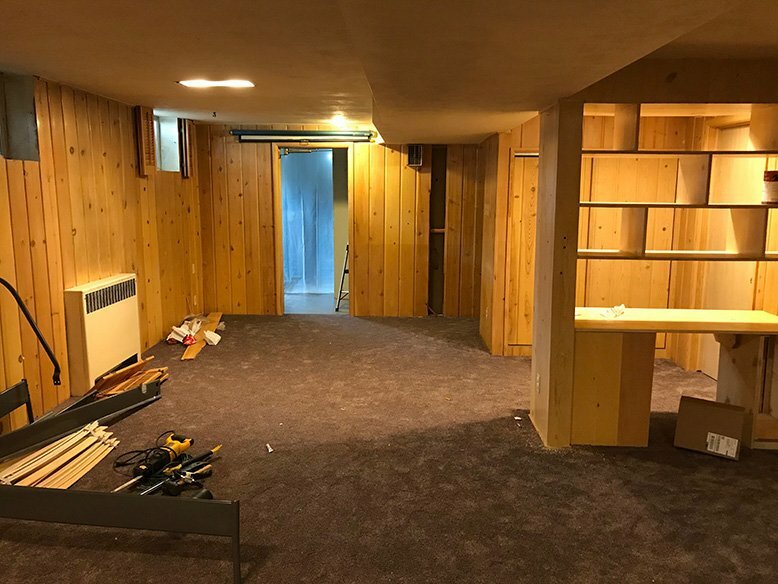 The knotty pine paneling in our basement had a glossy finish on it that we needed to sand off before we painted to make sure the paint would stick. This was the hardest and longest part of the process because of all the grooves and indents. There were a couple of places we skimped on sanding and it’s obvious where that happened, so don’t slack off when you are sanding! This is also the time to make any repairs on the walls with wood putty. Once everything is sanded, wipe down the walls and paint on your primer. Let it dry completely before you start painting. Now that it’s sanded and primed, paint like a normal wall. We rolled on the flat parts and used a brush to fill in the grooves. Wait until the paint is completely dry before you start your next coat. You will most likely need at least two coats. Finish the job by painting any trim or molding and now you can enjoy your freshly painted room! Have you ever painted wood paneling? How did it go?